La Vie En Rose commences its 2016 campaign with a tight little package from the delirious Ibiza dwelling duo, Acid Mondays. The British lads are well known for their ability to concoct deadly dance floor weaponary for labels such as Rumors, Illusion, One Records and 2020Vision among others and now they're back on the French label with two hot new tracks plus a remix from Greek grafter John Dimas. Lead track 'Garaldo' is a heady stepper with warped, galactic vocal snippets, glowing FX and a killer bassline. Coming in at just over 10 minutes, it's a trip into the deepest recesses of Acid Mondays cosmic craniums. 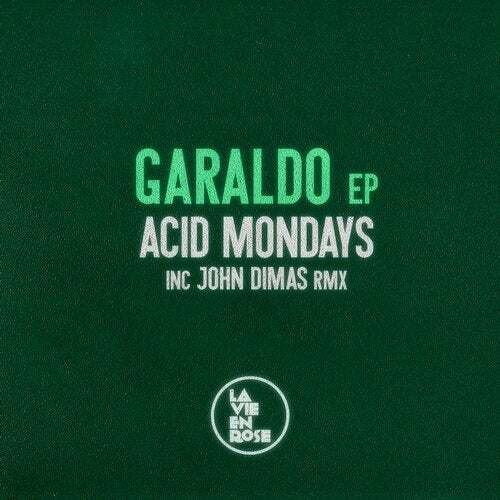 Lola ED family member John Dimas weighs in with his reinterpretation of 'Garaldo', putting the original on a diet and cultivating a slimline, though equally effective version of the track. His delicate use of twinkling melodies, barely there vocals and skippy percussion gives us a whole new piece of music, which is wonderfully restrained. On the flip, 'Machette' lives up to its name, with the percussion slicing and dicing its way through a gnarly bassline and bubbling toms. As the track progresses, the pace picks up and we're gripped by its superglue-esque groove. A trippy breakdown around the five-minute mark is the icing on the cake. Super!